On the wooden docks of the Fisherman's Wharf, there's a watering hole beloved by salty sea captains and landlubbers alike. Create your own cocktail hour with cold beer, mixed drinks, and non-alcoholic refreshments. Sip a handcrafted concoction while you snack on a selection of appetizers. If you're up for a photo op, snap a pic inside the jaws of the massive great white shark hanging next door. 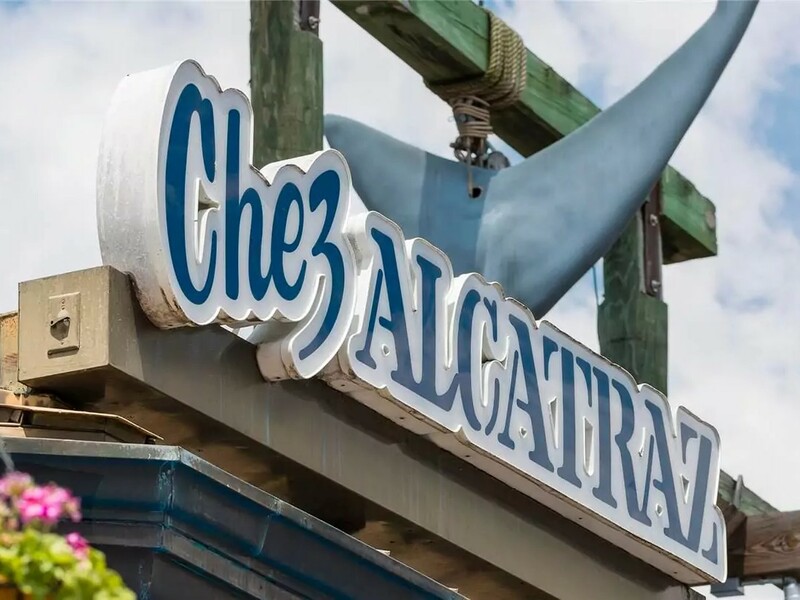 Chez Alcatraz is a relaxing place to grab a quick bite, take a load off, and maybe order a unique mixed drink from the bar. Plus, get your photo taken with the JAWS shark next door. 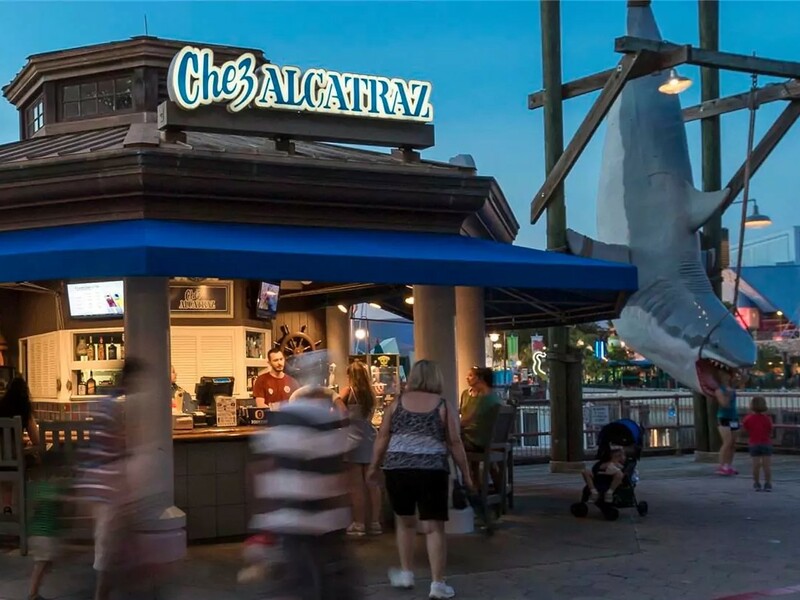 Get your photo taken with JAWS right next door. This 20 foot long hanging shark was relocated from its home nearby when the JAWS ride closed to make way for Diagon Alley.